Horizon Power, Western Australia’s regional power company, leased office space in Technology Park Bentley as it’s main Perth based administration centre. The building, at 18 Brodie Hall Drive, was delivered as a recently constructed concrete shell without services. This provided an opportunity to design with minimal limitations and allowed placement of amenities and services to suit the Horizon brief. 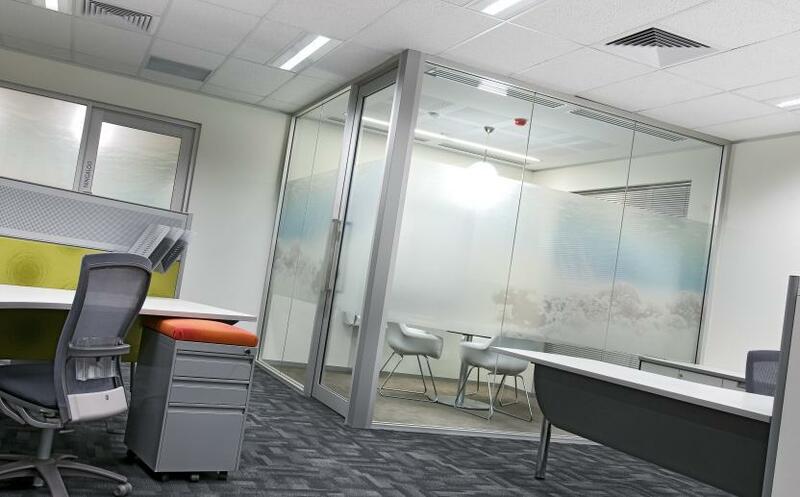 The project comprised approximately 2400m2 of office space split over 2 levels, and 5 separate areas that were joined by the complex’s common stairs and passageways. • chairs made from recyclable materials. 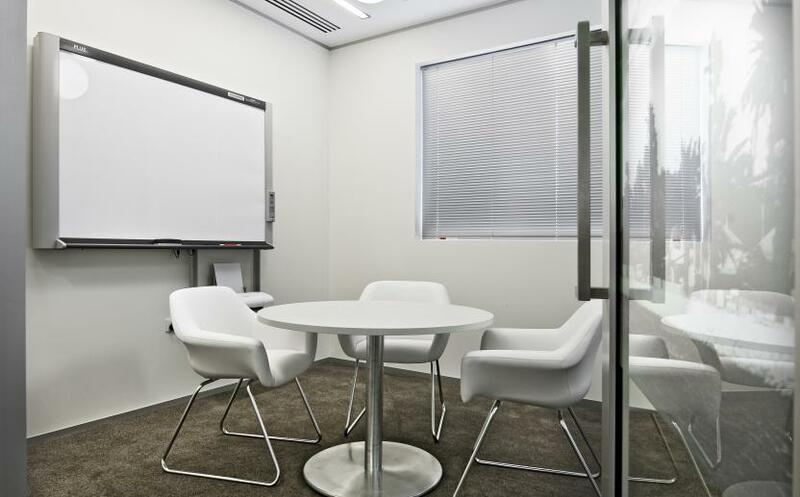 A feature of the lighting design was the T5 fluorescents throughout the office, with automatically dimmable T5 lighting to the building perimeter to enable daylight harvesting. Motion sensors and LED lighting were used effectively through the project to reduce power consumption. Being a predominantly open plan office, it was a requirement to create a sense of flow between the work and amenity areas whilst maximizing workspace numbers. 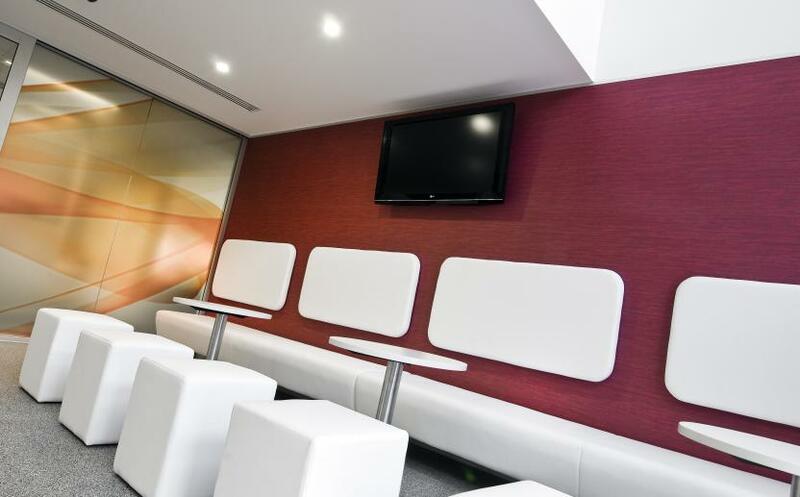 Soft curves and circular forms were common elements throughout the office which assisted in creating a comfortable working environment. 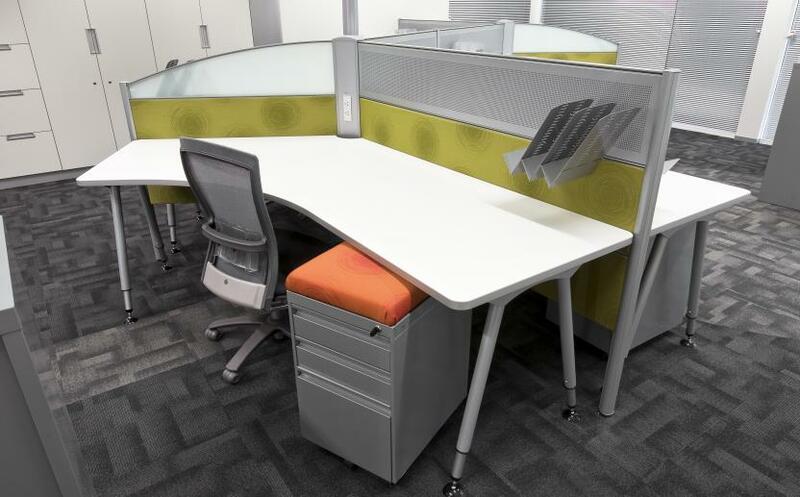 To achieve the feeling of openness, the workstations were designed into pods that could accommodate either 3, 6 or 9 positions. The curves and arrangement of the pods provided meandering access ways between congregating areas. To maximise the efficiency and create additional space, parts of the building were joined together to reduce the tenancy to 3 separate floor areas from the original five. 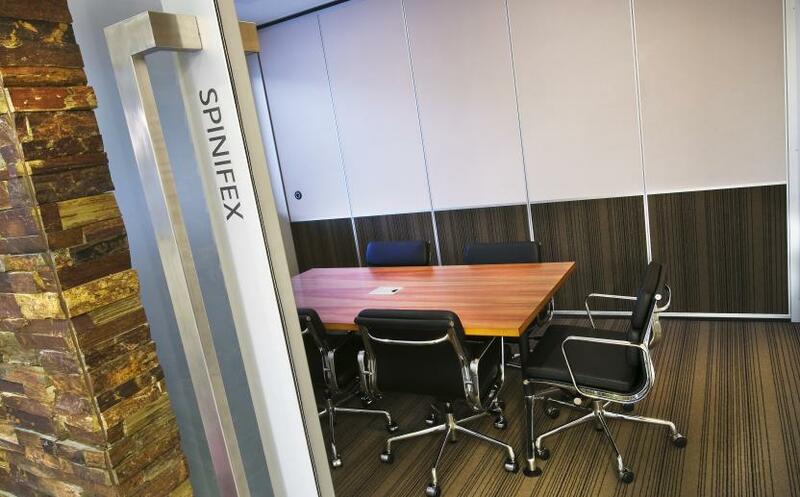 This enabled the utilisation of the joined corridor areas as meeting and breakout areas. The layout of these areas assisted in the segregation of Horizon Power’s multiple divisions into logical work groups. Filing and storage areas were minimised by the use of full height storage walls along main passages, but where required, were kept to the building core. This allowed the unique building feature of 3 sides of natural light to flow through to the core of each area. 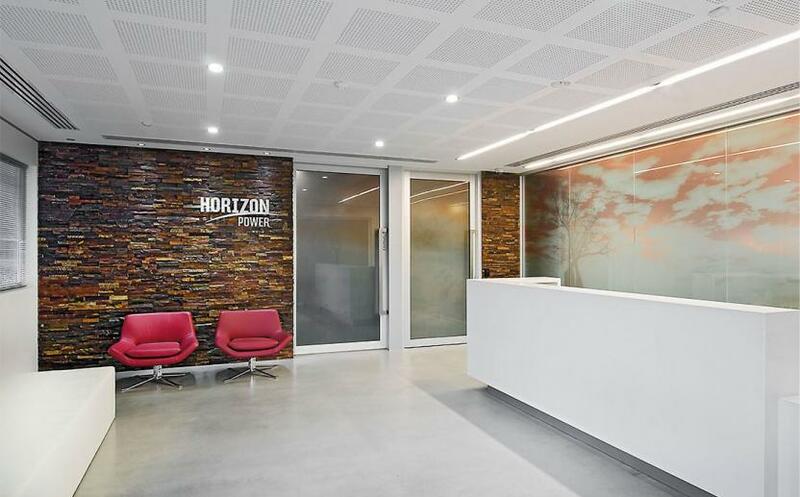 Visitors to the Horizon offices were to experience a bright, modern reception with finishes that reflect the company’s regional focus. 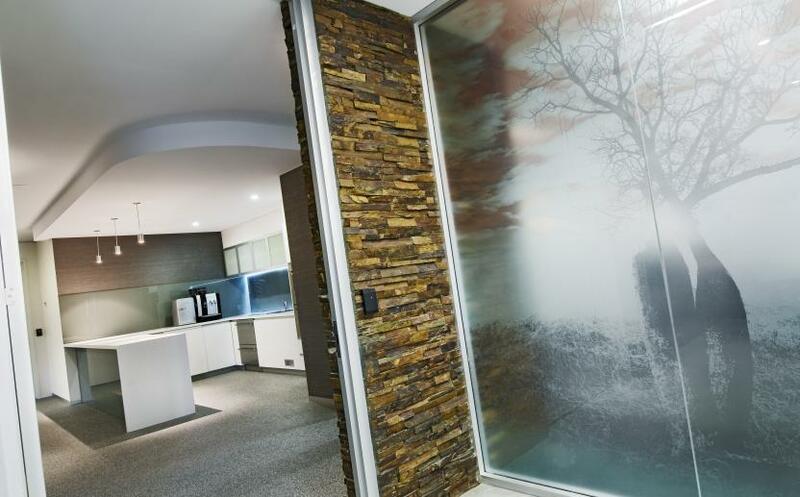 The regional emphasis was achieved by incorporating stone feature walls, earthy tones and regional graphics printed on the glass partitions. Graphic design played an important role in defining areas. 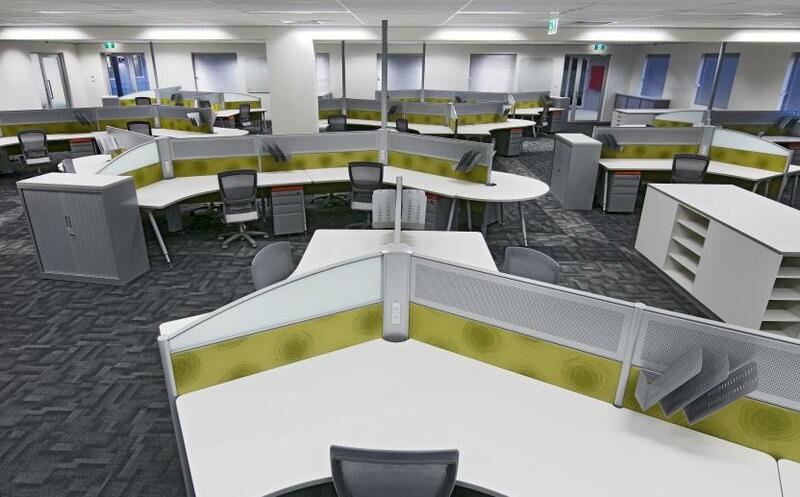 The collection of regional images transformed into free-flowing colourful waves to divide the workspace from breakout areas. 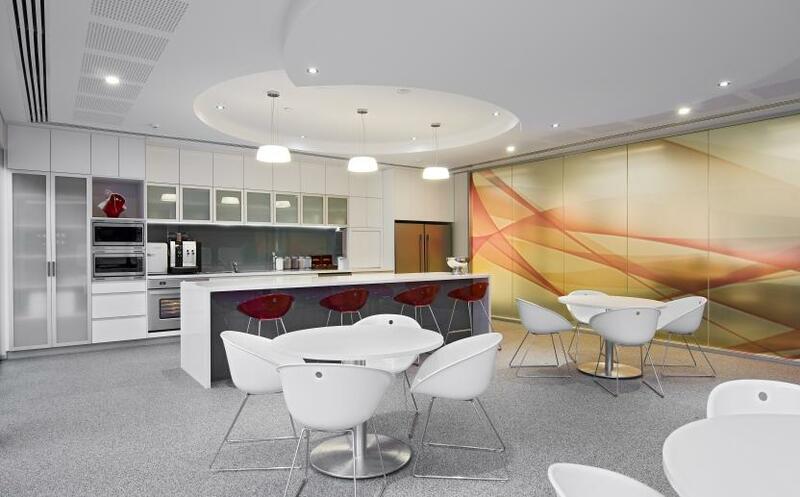 These areas were required to be an impressive space for staff gatherings, where staff could meet, relax and distance themselves from their working environment.